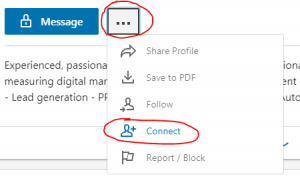 Click on “Create Ad.” Despite the link saying, “Create Ad,” this link leads to the LinkedIn Campaign Manager where you can create an ad and do many other things. 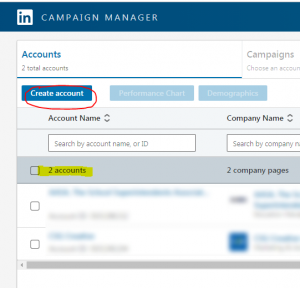 If you have an ad account for your LinkedIn page already, you will see your account listed in the table. Click on the account and skip to Step #9. 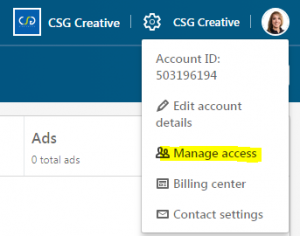 If you do not have any ad accounts, click “Create Account,” and proceed with the next step. Input what name you would like to call the account, select the currency to be used for billing, and search for the LinkedIn page, using the page's exact name, to be associated with the account. When prompted, click to “Edit” user permissions. Input Boney's LinkedIn page URL to quickly find him, then click on his name. In the drop-down menu, change Boney's role from “Viewer” to “Account Manager.” Boney does not need to be made a billing admin. Click “Save Changes” to close the window.